According to ABRA Auto, your vehicle is more likely to sustain auto body damage in the winter than in any other season. Not only are the roads slick with ice but they’re also covered with corrosive road salt. Here, these auto body repair experts explain how to protect your vehicle from both hazards. When it comes to protecting your car from road salt, remember to wash your vehicle at least once every two weeks, if the weather allows. 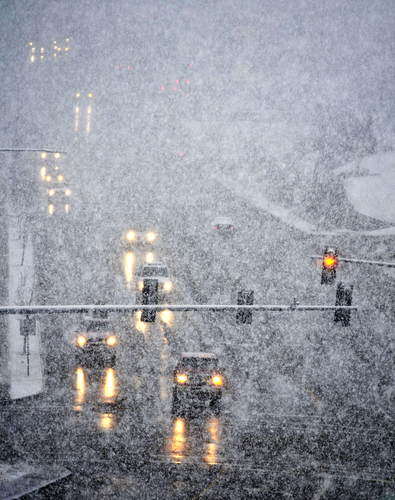 If temperatures are too long, it can cause your locks and windshield wipers to freeze. Pay special attention to the doors, fenders, hood, and tailgate as they retain the most moisture. Regarding accidents, ABRA’s automotive specialists explain, always practice caution. Leave a safe distance between your car and the one in front of you in case you need to stop suddenly. Also, watch your speed, especially on turns. If the weather is too severe, it’s best to reschedule your errands and stay home. Visit Your Local ABRA Auto for Collision Repair! If your vehicle does sustain auto body damage this winter, you can rely on ABRA Auto for expert auto body repair. To see a full list of their services, visit their website.